You can read lots of stories on CAT prep here at Final Admit, InsideIIM’s one stop shop for MBA aspirants. InsideIIM brings you this interview with CAT topper Sudipto Sannigrahi, to give you an idea on how to prepare for D-Day. Sudipto scored 99.96 Percentile in CAT and got calls from all the older IIMs. He gave interviews at IIM A, IIM B and IIM C, and converted all three, and will be joining IIM A this June. 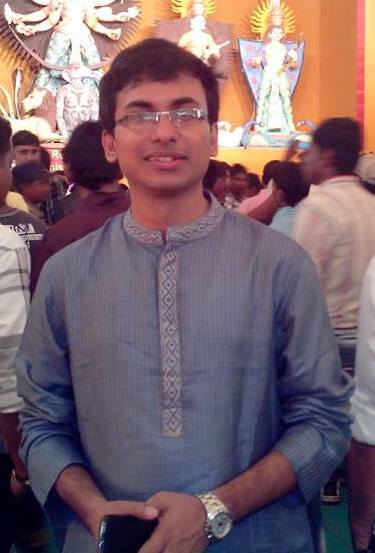 Sudipto did his graduation in Electronics and Electrical Communication engineering from IIT Kharagpur. He graduated in 2012 and joined Chronus Corporation, a Seattle based tech start-up, in its India office as Software Developer. After 11 months ​as a developer ​he became a Product Manager in Chronus. He worked for a total of 20 months in Chronus before moving to Flipkart as an Associate Product Manager in their Merchandising team. He scored 99.96 percentile in CAT 2013 (Section-1: 99.75 and Section-2: 99.76). He got GDPI shortlists from all the old IIMs. I interviewed for IIM Ahmedabad, Bangalore and Calcutta and got final admits from each of the 3 institutes. How did you manage your time while studying for CAT, given that you had a full-time job? I started preparing for CAT around 2 months before the exam date. As I was working full time I studied only on the weekends. Also, I took a 10 day break from my job before the exam day to focus on my CAT preparation. I do not think having a full time job is an impediment to performing well in CAT. How did the IIT experience help you in test prep? Was Quant Easier? Did the IIT experience help you in subsequent rounds as well (GD-PI)? The IIT experience did not help in test prep. However, preparing for the IITJEE in Class​es​ 11 and 12 may have made the Quant part seem a little easier. The experiences and ​exposure​ gained in IIT did help during the PI. What was your verbal strategy? As I mentioned earlier, I took a 10 day break before the exam. The break helped me to focus and be calm leading to the day of the exam. On the exam day I focused on attempting less number of questions, but tried to answer them accurately. Did people keep telling you to do an MBA directly after IIT? Was it a deliberate decision to work for a couple of years before doing an MBA? No. People did not tell me to do an MBA just after IIT. Most of them asked me to go for a few years of work experience before doing my MBA. How did you prepare for GD, WAT and PI? For preparation I took help from InsideIIM’s career service team which connected me with Raheel Shah, an IIM Ahmedabad alumnus who guided me during the interview preparations. Having a ​flat​ mate (Harsh Gupta) who had interview calls from all the old IIMs also helped ​with the preparations . Harsh and I will join IIM A this year. How did your interviews go (just provide a brief description of the contours of the interview)? What was the aspect of your GD/PI prep that helped the most? The interviews were ​mainly focused on 3 things – why I wanted to do an MBA, my work experience and knowledge of current affairs. Having a good grasp of my work experience helped me during the PIs. For freshers instead of work experience, questions on academics were generally asked. What do you think are the attributes required in a candidate to get final admits from IIM Ahmedabad, Bangalore and Calcutta? The way the current admission process is structured decent academic scores in Class X, XII and graduation ​are​ very important. Also I felt the panelists were looking for sorted out candidates with depth of thinking in one’s own field of experience/expertise. Any idea on what will be your plans after MBA?